Goji has become quite a hot food and supplement ingredient over the last few years. This berry is also known as goji berry, goji chinois, fructus lycii, epine du Christ, di gu pi, Chinese wolfberry, barberry matrimony vine, fructus lycii berry or many others. The berry, itself, comes from a plant that is native to China. It is a bright red berry that grows on a deciduous shrub. This berry has been widely used in Chinese medicine for the treatment of many different conditions. However, as of yet, there isn’t adequate scientific evidence to suggest that this ingredient could be helpful as a treatment for a single condition. Among the conditions for which goji is sometimes used as a treatment are: high blood pressure, diabetes, poor blood circulation, malaria, fever and even certain kinds of cancer. That said, supplements for erectile dysfunction, tinnitus, dizziness, sweating, thirst, irritability, cough, nosebleeds and weight loss often contain goji. As a food, the berry is considered to be a relatively healthful one, as it provides antioxidants and a range of nutrients. Berries can be eaten raw or they can be cooked into recipes. In traditional Chinese medicine, the most common use for goji is longevity, with a main claim based on an herbalist in the country who combined this ingredient with other herbs and managed to – according to legend – live to be 252 years old. Unfortunately, whether or not the berry on its own can help to promote longevity or can help a dieter to lose weight simply has not yet been proven in adequate research. While there could be something about this berry that could be advantageous for these purposes, there isn’t any way to know how much is needed, whether or not it’s true and at what point a patient has taken too much. Without that information, it’s impossible to tell how much a person needs to consume in order to safely obtain the best results without experiencing side effects or other health hazards. 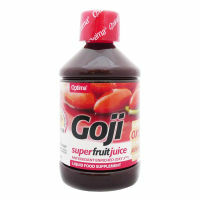 Very early preliminary research has suggested that following a diet and exercise program for two weeks while drinking goji juice throughout that time could help to promote a reduced waist size in overweight adults, there is no significant study to directly link this ingredient to improvements in body fat or weight levels. For the average healthy person, goji is considered to be likely safe – regardless of whether or not there are benefits – when taken orally over the short term. 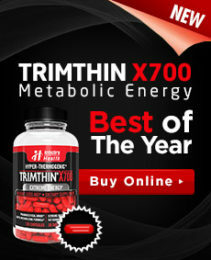 Some side effects linked with the use of this ingredient include nausea and vomiting.